This Valentine specimen art is a version of specimen art I saw on Pinterest. "Specimen art" is just a collection of similar objects that's displayed as art. I had originally wanted to make specimen art with butterflies, but hearts are so much easier to cut out! I really wish I had a silhouette cutter for projects like these, but since I don't have one, I just cut the hearts out the old fashioned way by tracing and cutting. (If you have a paper punch, that would work too. The basic idea is to just repeat a shape.) Even doing it old school, this project is super simple. 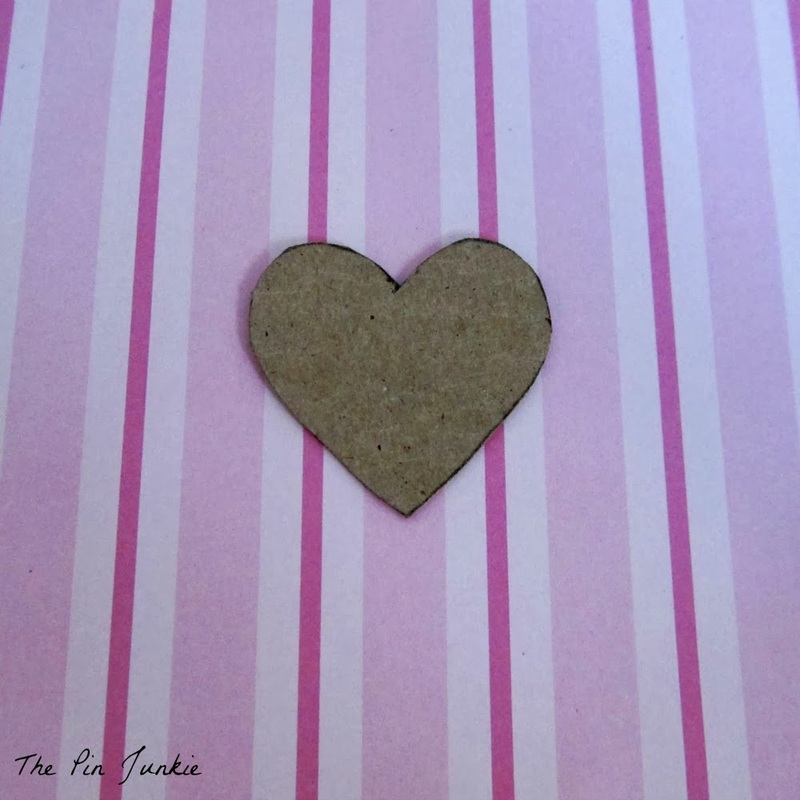 Trace a heart onto cardboard to make a stencil. 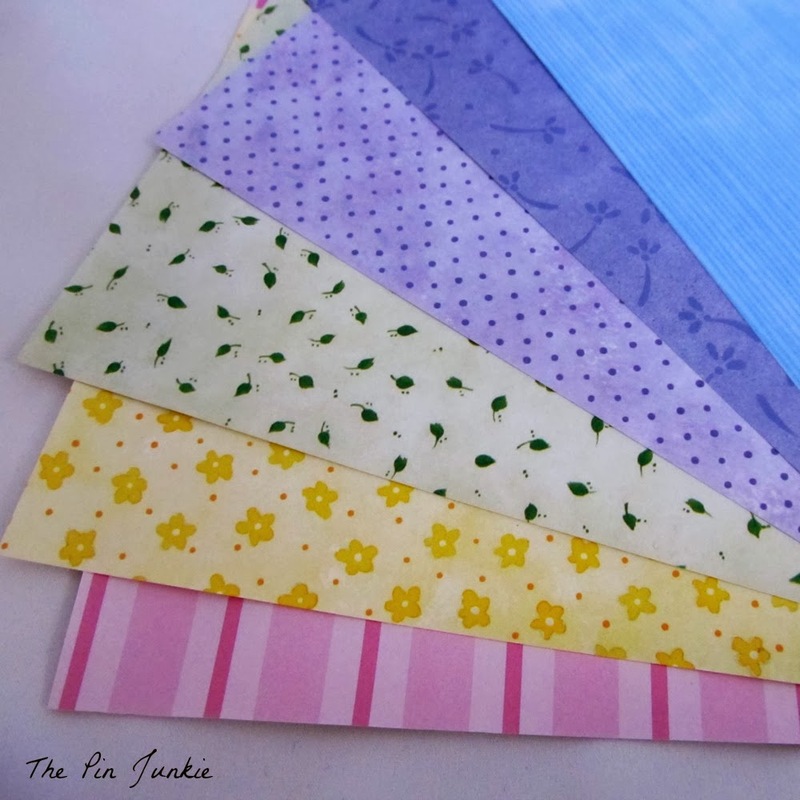 Then trace hearts onto scrapbook paper and cut out. 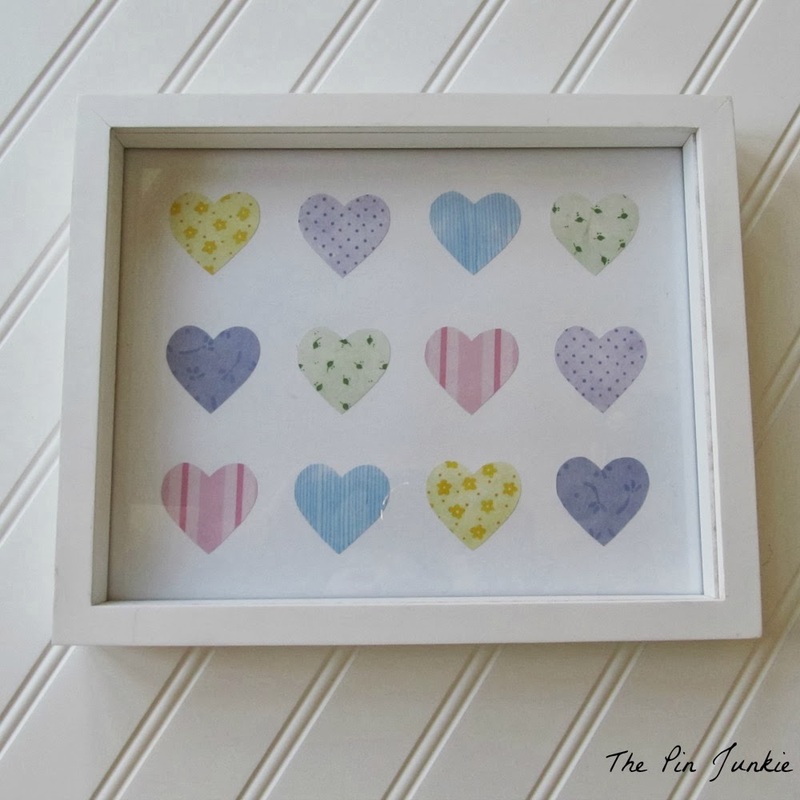 Glue the hearts onto a piece of white paper or card stock. Pop it in a frame. That's it! Super simple, right? It looks so pretty, I may have to keep it displayed even when Valentine's Day is over! 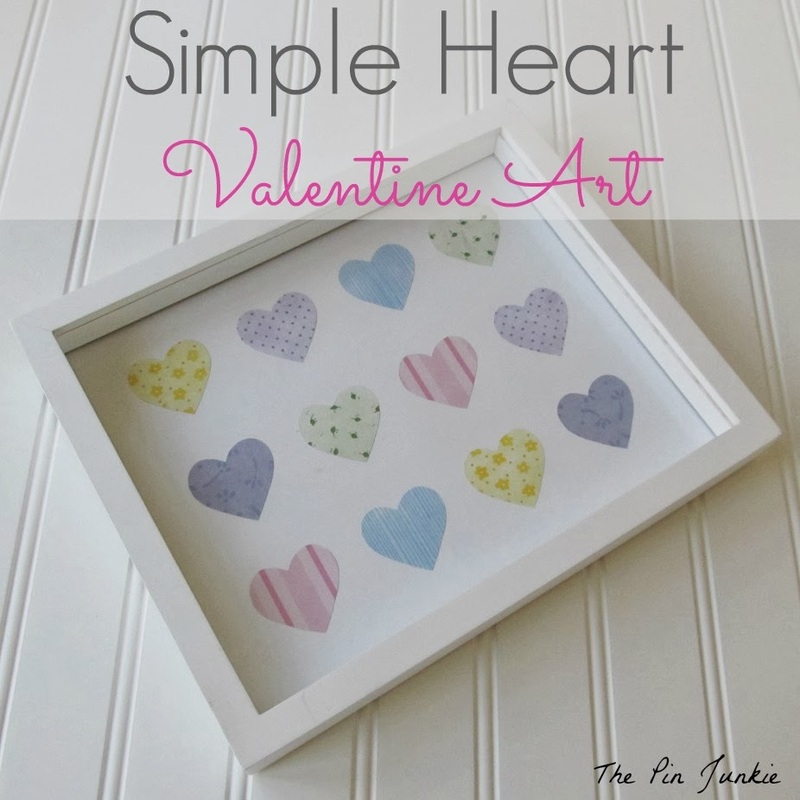 More easy Valentine art ideas here! Inspired by this pin for specimen art. So pretty and easy to do! :) Thanks for sharing this, dear! This is so super cute, I should totally make one of these for my house! This is SO sweet! 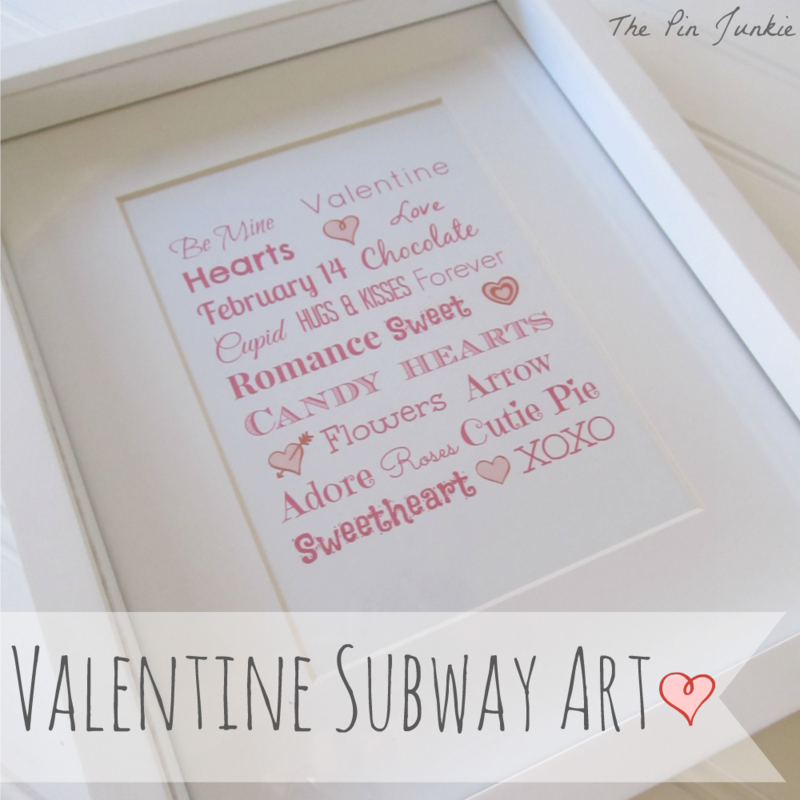 I love this, not just for Valentine's Day for but for year-round decor in a nursery or kids room! Pinning! What a cute heart project. I am your newest follower, wishing you a great day! I love this! It's so cute, and I would totally display this on my wall :o) I just pinned to my crafts board and shared across all of my social networks; thanks for sharing! Thanks for the invitation Jacqui! 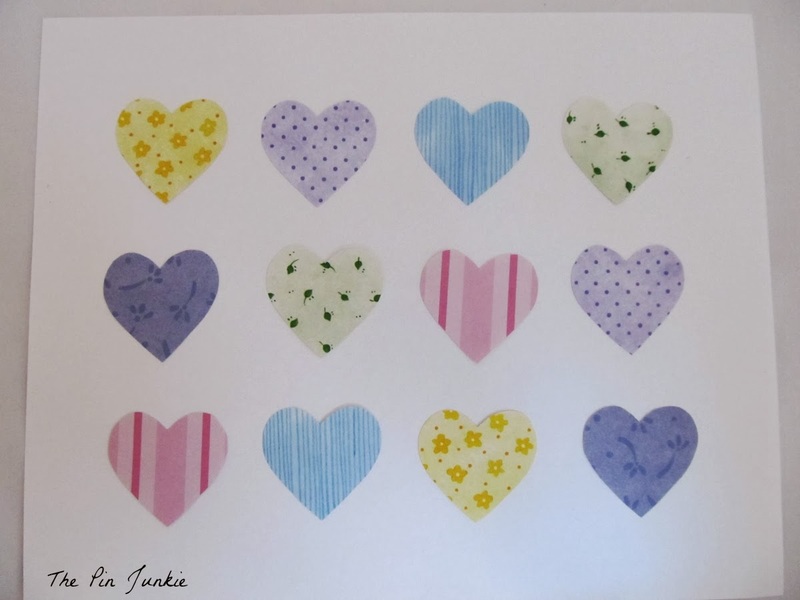 Love your choices of paper patterns for the hearts. I love seeing some other colors instead of just pinks and reds. I get a little giddy about all lovely paper beauties over at www.ritewhileucan.com. You might enjoy. Visiting via "TellMeAboutitTuesday" link up. This is so cute! I'm pinning it for later. Thanks for linking up to Saturday Dishes! I pinned this great idea. This is a really cute picture. We love the fabric hearts. Have a great week and thanks for sharing at Wednesday's Adorned From Above Link Party. You're right! The hearts do look like fabric, don't the they! Just love this. Pinned pinned and pinned again! This is a great idea! I love everything about it! Thanks for sharing! Thanks for the invitation Allie! Hello, I'm coming over from Wonderful Wednesday Blog Hop. I Love your Valentine's Day Art so, simple and cute! Thanks for sharing! I'm pinning it. Cute project. Love all the happy colors you used for your hearts. Very cute and fun! Thanks for sharing on the Thursday blog hop!! So pretty and simple! I might make one for my daughter's room :-) Stopping by from LOBS. I think it would look very sweet in a girl's room! Love this! Thanks for linking up at LOBS! Pretty and simple!! If you have a chance I'd love for you to link up to Handmade Tuesdays @ Ladybug Blessings. www.ladybug-blessings.com Have a terrific weekend! It may be simple, but it's sweet! Thanks for sharing with SYC. I love this! So glad I stopped by from LOBS! I love this idea. Really simple and cute too! I may be doing this soon :) Thanks for sharing! I'm visiting from #LOBS. Great weekend to you! Yes, you can adapt this to almost anything. I've seen specimen art done with a variety of shapes and themes. I'm looking forward to doing another one since it's so easy to do! Love this, Pinning it to my Valentine Board right now. Your cute picture is my kind of project. Cute, simple, inexpensive. I love it. Thanks for sharing it at our Making Monday link party. Have a great week. Very cute:) Thanks for linking up to the Bloggers Brags Pinterest Party. I have pinned your post to the Bloggers Brags Pinterest Board. Cute! That would be a great handmade card, too! Pinning! Great idea Jillian! I'll have to try that! Thanks for the feature Ginger! So pretty...Love the colors and patterns you chose! Thanks for sharing at Hit Me With Your Best Shot...Can't wait to see what you've been up to this week! This is so cute! Thanks for sharing it with us! Pinned! as always simple but beautiful. i love all your projects. keep up the good worfk. thanks for linking up to the all things pretty party. Really pretty I think it would be beautiful in a girls room year round. Thanks for the feature Stephanie! OK, I can't tell if my comments are going or not... :) ...but I just wanted to tell you that I adore your lovely hearts AND the link to the subway art how-to! :) Thanks for sharing this at Treasure Box Tuesday! PINNED! Thanks Joy! I appreciate your comments. It takes a while for comments to show up because they have to be approved before being published to prevent spam. Thanks so much for the feature Jocie! Thanks for the invitation Claire! Pinning this! Thanks for sharing on The Jenny Evolution's weekly Friday Flash Blog linky party. Have a terrific weekend. So cute! I love both of these. What a great idea for Valentine's Day! Thanks Laurie! I'll be sure to stop by and check it out! Girl, you had me at simple! Love this cute little piece of art! Thanks so much for linking up at Hit Me with Your Best Shot! Have a wonderful week! So sweet & simple! This was one of my "knockouts" from last week's Hit Me With Your Best Shot party! Thanks SO much for linking up! Thanks for the feature Shelly! Everything Linky Party at Mom Home Guide! So adorable! Good job! Stopping by from Categorically Crafting Show.